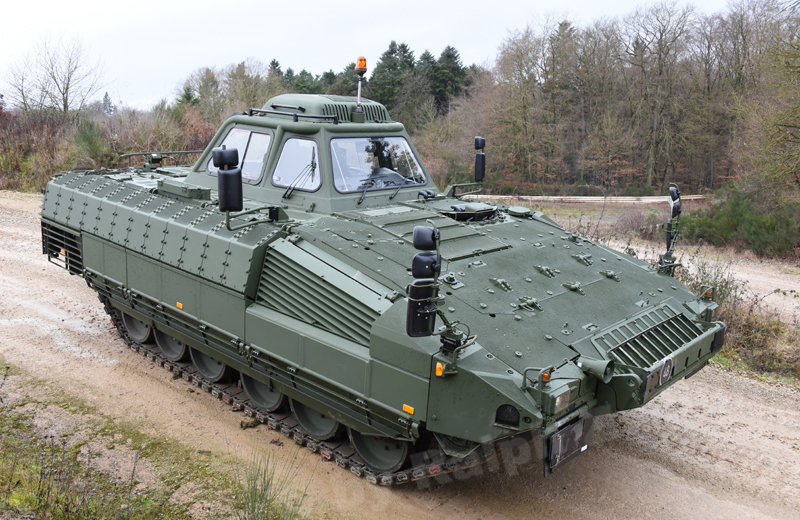 In contrast to the Puma AIFV, the Puma Driver Training Vehicle has a cabin bolted on the roof of the hull. The cabin offers space for the military driving instructor on the right side, and the auditor or student driver to his left. There are two additional seats for student drivers in the rear fighting compartment. The interior of the cabin is served by an adjustable cooling system located on the cabin roof. To provide best protection for the crew, the cabin is constructed in such a way that it can withstand a defined load, thus guaranteeing there is enough space remaining even in the event of a rollover accident. On his own unit integrated into the cabin’s dashboard, the driving instructor receives all information that the driver sees. Like the steering controls, the display element is identical to that of the driver. With the steering system, the instructor can control the driving behaviour of the student from his seat and, if necessary, he can intervene against the student’s operating force. Hence, the driving instructor features pedals transmission and brake controls that overrule those of the student. 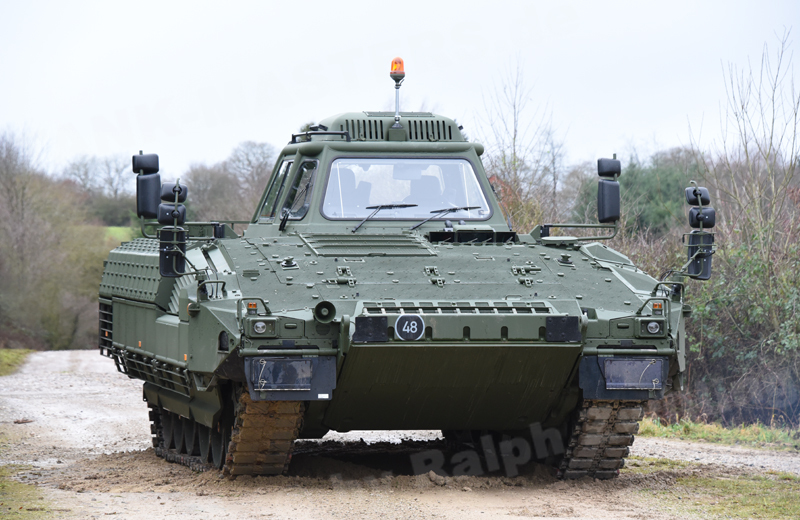 In contrast to the AIFV that features an optronic observation system with CCD video cameras, the Puma Driver Training Vehicle has only a rear-view camera at the rear of the hull. For safety reasons, Puma Driver Training Vehicles are not equipped with reactive armour modules but with dummies of the same size and weight as the real modules. 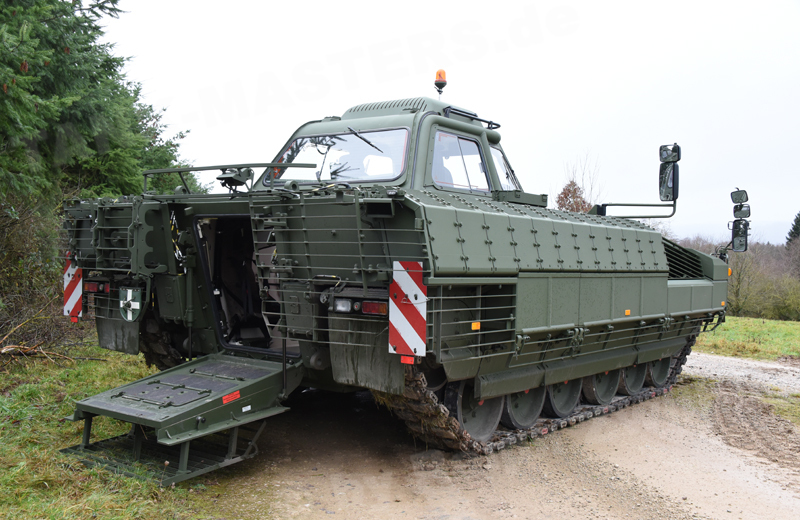 The Bundeswehr procured eight Puma Driver Training Vehicles. Their handling and gross vehicle weight are nearly unchanged compared to the Puma AIFV. Therefore, military vehicle operators do not need a familiarisation phase when switching to the AIFV version later on. 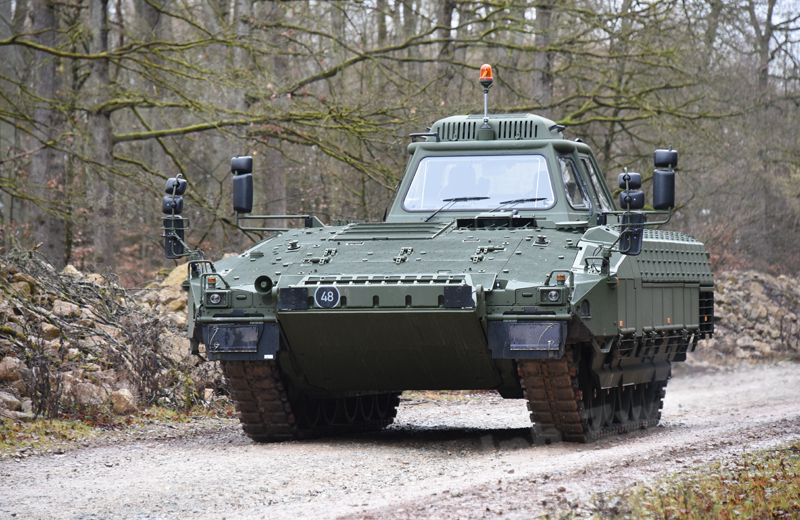 In contrast to other driver training vehicles that have been fielded so far, the Puma Driver Training Vehicle cannot be reconfigurated as an AIFV.